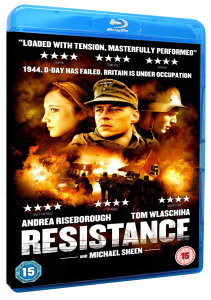 You can now pre-prder ‘Resistance’ on Blu-ray and DVD. It is due for release in March 2012. There is talk that there will be lots of good extras on the disc including scenes cut from the movie. See more on the film here. grateful if you could add me to the list. hopefully all of my Gestapo Officer scene (me, Dodger et al) will be one of the cut scenes included on this DVD? Hi there, thanks for the comment but we do not have a ‘list’ you can just per order it through Amazon.